iFlora line of products have been discontinued and the manufacturer is no longer in business. Please see our other great probiotic lines below. Patent-pending probiotic blend from Sedona Labs comprises four strains of helpful bacteria flora to clear your sinus and support healthy mucus production. 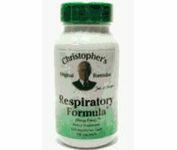 Including B. bifidum & L. acidophilus, i Flora Sinus & Nasal Health nourishes the bronchial passages and enhances the upper respiratory system. N-Acetyl-Cysteine, an antioxidant known for its potency, is added to help maintain a harmonious flora balance. 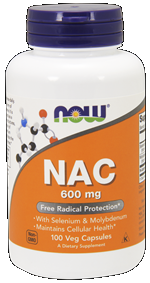 Recent clinical studies suggest NAC is also a detoxifying substance and may help natural flora found in the ears, chest, and nose. iFlora Sinus & Nasal Health vegetarian capsules contain 22 billion living cells at the time of manufacture, and do not require refrigeration. 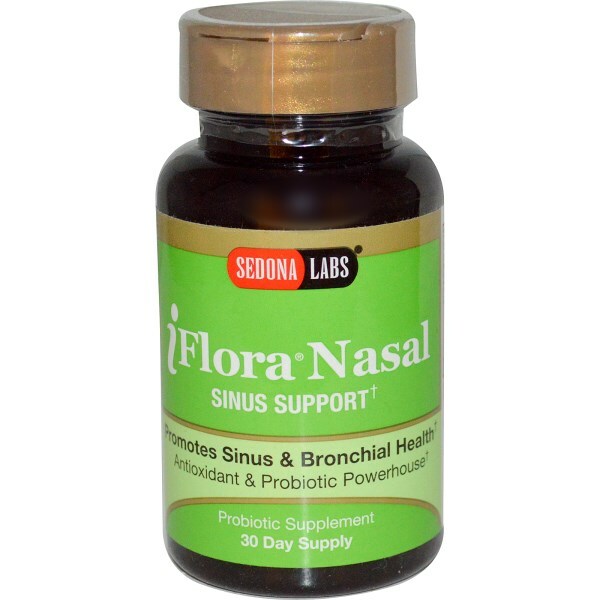 Help your body maintain healthy mucus consistency & production, keep your defenses strong, and your sinuses content, try iFlora Nasal & Sinus Health from Sedona Labs. Suggested use: Take 1 capsule 3 times daily. Proprietary Probiotic Blend: Short Chain Fructoolgosaccharide (NutraFlora scFOS), Bifidobacterium bifidum, Lactobacillus acidophilus, Lactobacillus rhamnosus, Streptococcus thermophilus. Other Ingredients: Magnesium stearate, vegetable capsule, (water, cellulose). Distributed or manufactured from Sedona Labs. See more Sedona Labs products. I have suffered for many years with sinus allergies and came across Seacoast Vitamins and found this product. I have only used this now for 2 weeks and already have seen a dramatic difference. I do not have the drainage and my sinuses were so bad that I had pain when touching my face and even made my teeth hurt at times. It has really cleared up my bronchial passages. I will be sure and always have a supply of this at home. I have severe sinus pressure and headaches and most of the time my nose feels like it is dried out to the point of being painful to breath. I had previously used this product and had quick results that included no headaches, pressure or dried out nose. I used the product for about 6 mos then ran out, and did not re-order. I was good for about 5 mos then started having problems again, so I re-ordered. I am hoping to have excellent results again. I told my sister about this product when she was contemplating surgery to help her sinuses -- and she has also had excellent results and did not have to have surgery. I recommend that you try this product before surgery or if you feel like you've tried everything out there. Good luck! I love this product and have been using it for over a year now. I take it twice a day and do not have all the bad allergy symptoms that I have dealt with for over 10 years now. I highly recommend this product!!! Not impressed. I so far see absolutely no help and or improvement of my conditions. Complete waste of money! 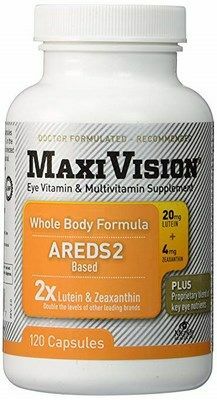 I have been taking this product as recommended over a week now, I will finish the bottle and come back with more remarks if after taking the entire bottle and I do see any signs that it does work, maybe I have not had it in my system long enough to help. I am desperate for relief and will give any thing a proper trial. I have found the iFlora capsules greatly relieve my sinus conjestion. I am VERY pleased with tthis product! I really like this product. I was using Zyrtec-D on top of other over the counter allergy products. Besides spending upwards of $70-$100 a month on all that I still never felt as good as I do taking the Flora Nasal & Sinus. Taking this product made me feel much better and was a heck of a lot cheaper! I would highly recommend! I had a terrible cough and post nasal drip for about 2 months, had a C-T scan of the sinus, inflammation showed up but nothing else. Used nasal sprays that did not work,but made the situation worse. I heard about the flora sinus and looked it up on the internet and found your company and ordered the product. Have been on a little over 2 weeks and the improvement is amazing. No more violent cough and the post nasal drip and mucus is clearing up, as soon as my supply gets a little lower I will definatly order more to keep the healing going. This really works, thanks for a great product. After using this product for two weeks I have been able to breath more freely and the forced air heating is not bothering my sinuses as much. The headaches have been greatly reduced as well as eye puffiness. My wife and I both have had a Sinus condition for years and have tried this product with excellent results for the past month and are happy with the results and plan to continue using it. Finally, a better night's sleep. I have been using iFlora Nasal & Sinus Probiotic for just one month. This product has already provided considerable relief from chronic sinus congestion, post-nasal drip, and headaches that I have suffered for several years. I can recommend iFlora to others for relief from general discomfort associated with sinusitis. I had very painful sinus headaches on a regular basis. They occurred almost every day to varying degrees. I also had a great deal of sinus congestion and drainage which would make me sick to my stomach. I began researching on line to hopefully find a product that would help. I ran across IFlora and read the testimonials which ultimately resulted in my ordering a bottle to try them. After taking approximately three capusules in two days time, the headaches and the congestion disappeared. That was almost six weeks ago. Thus far, I have not had even a hint of a headache since I began taking the capsules. They have been worth every penny I paid for them and actually much more! 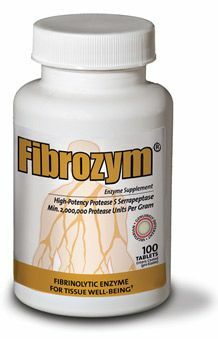 I began to see an improvement the second day I started taking iFlora. Combined with a humidifier, nasal spray, and sinus wash, I'm now able to sleep through the night. Before I began taking iFlora, the humidifier, nasal spray, and sinus wash, did not deliver significant relief. I'll be ordering iFlora soon. For years I had terrible sinus problems, headache, ear ache, stuffed nose. I tryed different over the counter drugs, some I really felt bad and stopped taking. Now that I take iFlora Nasal & Sinus Probiotic's I no longer suffer from sinus infections. I started Flora Nasal 12/24/09 my nasal has dried up a little,but i am still coughing up a lot of phelm.I was hopeing this would work,because i see my Doctor Monday,he informed me i had fungas in my mucus..
To help me so I can sleep at night. I have been taking for some time now and they really work. I was amazed how they helped me to keep my nasal passages open so I could sleep good at night. I had severe Sleep Apnea, and sinus problems. I had surgery for my Sleep Apnea, and sinus surgery for a deviated septum, still I continued to have chronic sinusitis and I had a problem for the last 20 years with my ears constantly itching. They itched deep inside, especially at night. I talked to 3 or 4 doctors about this annoying problem, they each gave me eardrops, different kinds. They were greasy/oily messy drops, and they did not work much, or I gave up because they were so messy! One day I saw i~flora for nasal health, read about it and decided to give it a try, and in a week or so it began working!!!! NO MORE EAR ITCHING!!! I finally found a product/cure for my sinus's & ear itching. So happy to report this!! Ria from NC. I use it for chronic nasal congestion and cough. This is the best product I've ever had for my sinus problems. It really works for me. I have been using iFlora Nasal & Sinus for nearly a year. It has tremendously helped my year-round nasal allergies. I was using nose spray constantly to help me breathe easier & really wanted to stop using it as I knew is exacerbated the allergy problems I have. I tried the Flora Source VCaps for about 3 months and was delighted to find I no longer needed the nose drops constantly. I do still take an allergy relief product Zertec-D, but I no longer use the nose drops all the time. I have introduced this product to friends with similar problems and one of them felt it definitely helped him but could not get into the habit of taking it regularly. I have just had some bottles of the product sent to my niece, who also inherited this family problem of allergies and wil be anxious t see if she gets the relief I have gotten. I have dealt with skin and nasal allergies for most of my 66 years of life and am happy to finally find a natural product that has helped with the nasal problems. I highly recommend this product!! I just started taking the tablets but they are helping me tremendously. I used to have to use a spray all the time and now I don't use spray at all. I hope they keep helping me. I have had sinus problems most of my life, and a chronic cough for years. As soon as I started using iFlora, I noticed an improvement. I can breathe much better, and I don't cough much any more. It really works well. Really helped clear up my sinuses at night. Now I can breath again!!! Relief from nasal congestion from allergies that I've had all my life - I am 66 years old. My finding the Flora Nasal & Sinus Probiotic was like a miracle for me. I normally have to take at least 2 twelve hr. Zyrtec-D allergy pills a da,y plus use nose spray every couple hours in order to breathe half-way decent. With the combination of ingredients that makes up the Flora Nasal & Sinus Probiotic, at this point I am only taking Zyrtec-D at night and barely using any nosespray at all. I am on my second bottle of the Flora Source VCaps and am truly delighted with the results. I am hoping it will continue to be as effective as it has been thus far. I have found that after I use a certain medication for awhile, my body seems to become immune to it and then I have to find something else. Thus far, the Flora seems to be keeping the nasal congestion under control and I don't use much nose spray at all. I'm hoping these first results will continue for me and I won't have to go back on the Zyrtec-D and/or nose spray. I'm talking to others that have similar problems to get them to try it as well. It is truly a relief for me after all these years. Actually the first product that helped me in 15 years!! I started taking it just to see and in about a month, started to breathe through my nose much more easily and wasn't sneezing non-stop at the office. I took it for three months, then stopped just to see if my results were due to something else I may have been taking. Within two weeks, my symptoms were back, so here I am, re-ordering! I've been taking it for a month now and love the results. I can finally breathe thru my nose. I am finally able to breathe through my nose, because the mucus is much thinner. Also, I have not had to use OTC nasal spray. My father suffers from sleep apnea and also bad sinuses - once he started this product he slept MUCH sounder with less snoring. Thanks for making such a great product! I've used this product for a couple weeks now, and I love it. By the second day, I noticed a great improvement in my ability to breathe more freely. My sense of smell has improved and I no longer wake up in the morning with sinus pressure and swollen, puffy eyes. The most amazing part of all is that it prevented a sinus-related PMS migraine headache, which normally debilitates me for about 3 to 4 days a month. When I felt a twinge of a headache starting, I just took another capsule. The headache never developed and I didn't have to take any expensive migraine medication or even an aspirin. I recommend this product to anyone with sinus problems. Results may vary from person to person, but it's definitely worth checking out as a safe, simple and non-expensive way to improve your health and well-being. It didn't take long to tell this product is what I have been looking for! I wanted to get off the alergy medicines I have been taking and take something natural with no side affects. 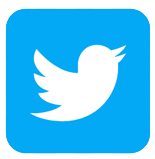 This product has enabled me to do it. When I first noticed iFlora it caught my eye because I didn't realize there is a probiotic for the sinuses on the market. I have seen them for the digestive system and for the urinary system, but for the sinuses was a first for me. It made sense immediately because the health of the mucus membrane has to have something to keep infections down, keep balance, and what better than an army of good bacteria to keep things under control. I began to use iFlora and the effect was almost immediate. My head felt clearer, the pressure was gone, and I lost that fuzzy feeling in my head. My co-workers have seen my bottle at work and they have all tried it, and now use it themselves. I am in healthcare, but recommending supplements is not in the scope of my practice. 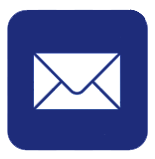 Nearly everyone who comes into the office asks what we do for our own issues, so we refer them to several informational sources to do their own search, and now Seacoast Vitamins is on that list. As a layperson I talk to friends about the value of this product. I have constanly had sinus problems. After taking iflora for a week I noticed that my sinuses began draining and opening up in areas that were not opend up in years. I breath much more freely and have not had the constant sinus headaches that I had on a daily basis. I was skeptical when I took my first bottle of iFlora Nasal & Sinus Probiotic. The only difference I noticed at first was how much more mucus I had to deal with in the morning and I wasn't sure I wanted to buy another bottle. Eventually the excess mucus leveled off, thankfully. Now, two weeks and an outpatient procedure at a hospital (followed by antibiotic treatment) later, I'm back for more. I didn't realize how my sinus condition had improved at the end of that first bottle. The difference was very subtle but when I took the antibiotic, it got my attention and made me notice and appreciate how the iFlora had improved my chronic sinus condition. I'll be buying more to keep my sinuses healthy for life. Wow! It's working. Last year I suffered the worst allergies I've ever had. I live in the south where everything has heavy pollens for 8 months of the year. I've been referred to 3-doctors who put me on a total of 5 different medicines PLUS steriods (THE HEAVY duty regiment for Industrial or Extreme Rhynitis) to help me breath and still I was only able to get 2-3 hours of sleep a night due to the extreme conditions. Summer conditions started 2 months earlier this year (2008). I couldn't bear to think of the suffering that was starting already. So I gave it a try. I'm impressed! It may not work for everyone, but for me it has done wonderfully. I have noticed one small detail, it does not build up in the system, therefore you must remember to take each of the tablets around the same time for it to carry over to the next dose. I saw a difference in 3 days. I take one tablet in the morning, at lunch and 30 min. before I go to bed. Do I recommend it? You Bet I DO! It worth trying. I have recently developed migrane headaches which have been very debilitating. My doctor told me that they were directly related to sinus health. Mine are triggered by stress, hormone fluctuation and mostly by changes in weather patterns. I have been on the iFlora Sinus for almost three weeks and have not had one migrane! We have had several storms move through the area and I have been fine. This has really worked for me! I take immunosuppressant drugs. I had noticed my allergies getting worse. Within 3 weeks of taking iFlora there has been a marked improvement. I recommended it to my son. I have not noticed any difference yet but I am hopeful. Right now I am in the midst of a bad sinus infection and am on Antiboitics and prednisone so I will give it more time. A: This is a natural product and there are no direct warnings against taking this product while on Norvac, however it is always a god idea to consult with a physician before starting on any new supplement. Question: is it safe for children? A: Most supplements, unless stated otherwise are suited for adults ages 18 and over however for possible use and dosages for a child, please consult with your physician as they can recommend otherwise. Question: can this product use by toddles from 10 months when the have a problem of running nose blocked and not breathing well well when sleeping. A: Most supplements, unless otherwise stated are formulated for adults ages 18 and older. Please consult with your child's pediatrician first to find out the possible use and dosage for a child of that age, and any alternatives if the doctor advises against iFlora. Please note that these are non-chewable capsules. 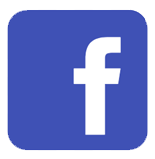 Question: I reached this sight researching the use of lactobacillus sakei for healthy sinus flora. My question is: from what I've been able to tell, there is no mention of l. Sakei on the label. Does that mean there is none in the formula?